Sura korean bbq restaurant richmond is hiring! 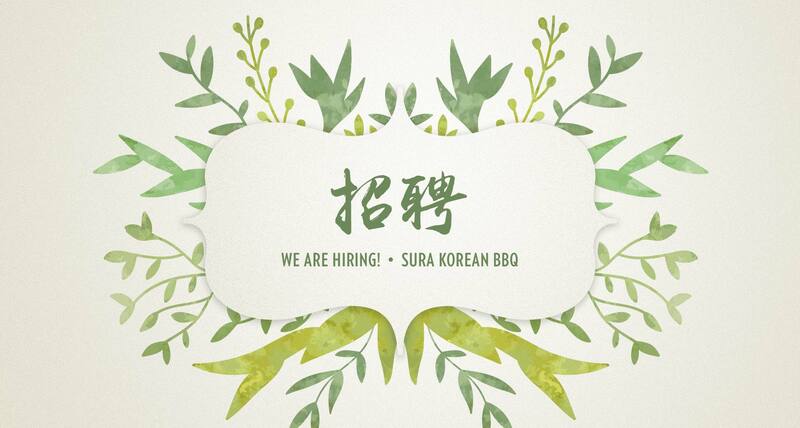 Join our SURA Korean BBQ Restaurant Richmond team: We’re hiring now! If you have a passion for creating a memorable guest experience and are interested in being an integral part of our new and exciting restaurant atmosphere, we’re a perfect fit for you. Experience can be a huge asset! Applications/résumé are being accepted through email: please send your applications/résumé to suravan1518@gmail.com. Thanks for taking interests in SURA Korean BBQ Restaurant Richmond!